Easy Livin is a guest favorite year after year. It is a traditional cottage in a great location on the west side of Sunset Beach, right at the corner of West Main and 28th Street. Beach access is across the street, and it is an easy stroll to the pier. 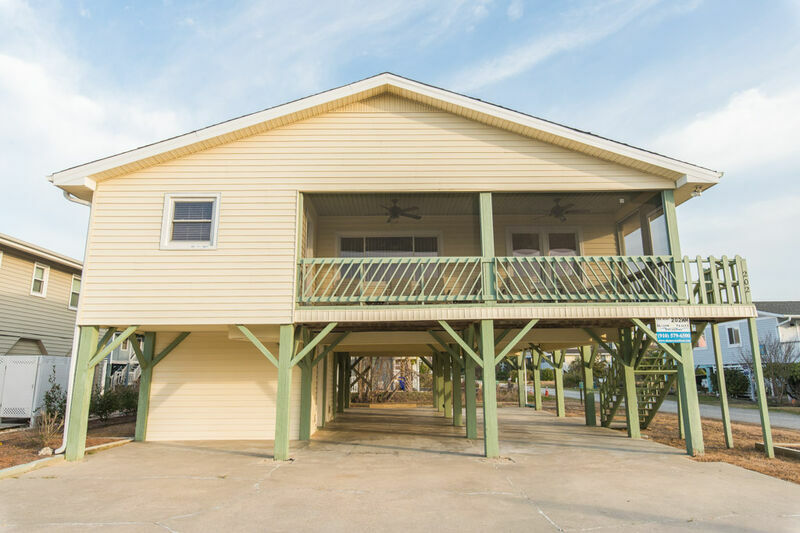 This 4BR / 2BA cottage sleeps 9 with the following bed configuration: K,Q, D/S, 2S. The bedrooms flank both sides of the common living and dining areas. Bathrooms are accessible from each of the two bedrooms that share them. The fully equipped kitchen was renovated in 2015. The bath that adjoins the master bedroom was totally updated in 2019 with a large shower. Other amenities include 5 cable TVs, DVD/Stereo, and high-speed internet, and Keurig coffee maker. There is a sundeck and covered screened porch, plus a large outside shower. The house is right across from the beach path and a 5 minute walk to the pier. House set up was great for us - two families with one child each. Each side of the house has two bedrooms connected by a bathroom. The house has basic needs for a beach vacation.